At this point, media pressure is but one of several forces swirling about the fashion industry, compelling designers and retailers to embrace diversity in an authentic, consistent way. The combined buying power of minorities, multicultural millennials, women over age 50 and those above a size 12 is swelling. The slow-to-adapt retail market is flailing. The tense political climate within and without the United States has awakened the advocate in many. 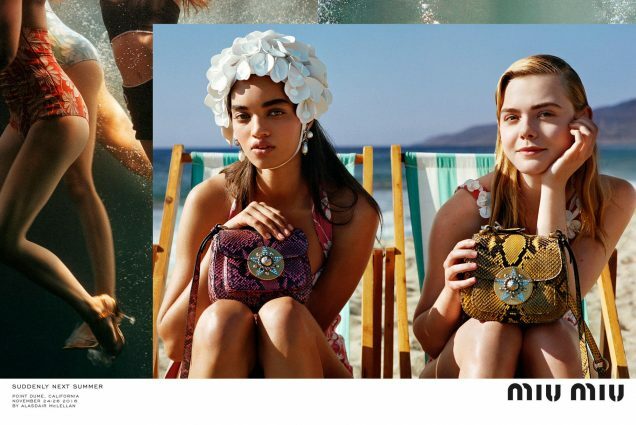 Still, brands’ march toward diversity remains cautious, tedious — especially when it comes to major fashion print ad campaigns, which call for larger budgets and tighter casts than seasonal runway shows. This feeble push toward racial diversity is exactly what we’ve come to expect from the seasonal campaigns. Between Spring 2015 and Fall 2015, the percentage of nonwhite model castings remained stagnant at 15.3 percent. Spring 2016 offered signs of hope with 21.8 percent nonwhite model castings, a 6.5-point jump from the previous season. 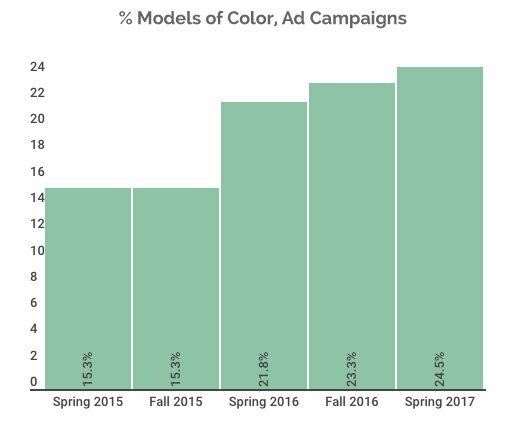 In Fall 2016, however, progress again leveled off: models of color comprised 23.3 percent of bookings. Zara, Gap, Express and Net-a-Porter (a mass retailer for those with champagne tastes) each hired 50 percent models of color. Urban Outfitters put forth the most well-rounded campaign of the Spring 2017 season. 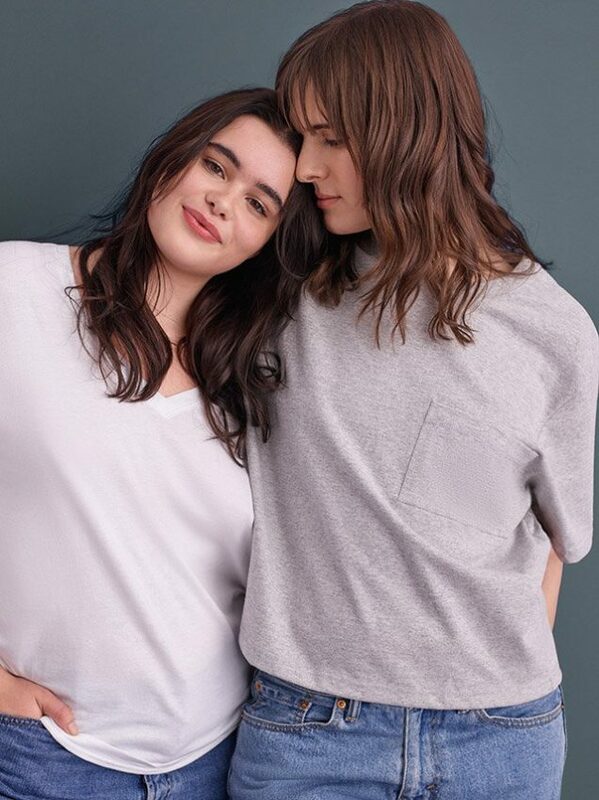 Produced in collaboration with Hanes and Champion, UO’s “Class of 2017” campaign starred plus-size model Barbie Ferreira and transgender models Stav Strashko and Hari Nef. Ferreira, Nef and Strashko shared the spotlight with 13 like-minded #influencers (or, for our purposes, nonmodels) who use their platforms to “challenge the status quo.” Ethnically speaking, the “Class of 2017” was 38 percent diverse. Stella McCartney, in keeping with her commitment to social consciousness, also cast 50 percent models of color, as did Alexander Wang (a longtime diversity champion) and Linda Farrow. Theory, our go-to brand for clean, elevated workwear, enlisted three out of five models of color — in other words, 60 percent. Finally, say what you will about Saint Laurent’s racy imagery, but the French brand that did not cast a single model of color in a ready-to-wear campaign between 2001 and 2015 seems to have returned to its diversity-championing roots. Four of the five (“unhealthily thin”) models who starred in its admittedly controversial spring campaign were women of color, among them Fernanda Oliveira and Hiandra Martinez. Of course, whether or not the repeat offender continues to prioritize inclusion remains to be seen and we sincerely doubt we’ll see a plus-size model on a Saint Laurent billboard anytime soon. Of the seven most-booked models for the Spring 2017 campaign season, all, apart from Argentinian beauty Mica Arganaraz, were white. 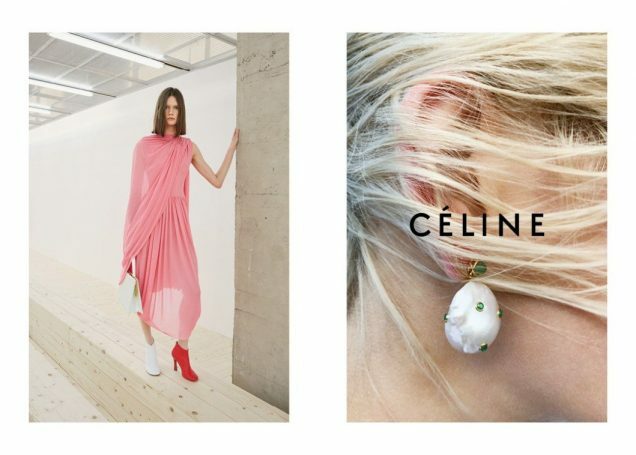 Dutch model Kiki Willems topped the list with nine ad campaigns, including Sonia Rykiel, Jimmy Choo, Prada, Calvin Klein American Classics and Calvin Klein By Appointment. Gigi Hadid* fronted seven campaigns, among them Dsquared2, Fendi, Max Mara, Moschino, Stuart Weitzman and Tommy Hilfiger. Taylor Hill, Natalie Westling, Lexi Boling and Vittoria Ceretti shared third place with six ads apiece. Arganaraz, who scored five campaigns, posed for Calvin Klein By Appointment, Karl Lagerfeld, Louis Vuitton, Mango and Saint Laurent. This year has been, in many ways, fashion’s most body-positive year yet. Still, for the most part, designers’ commitment to representing all types of women on the runways did not carry over into the Spring 2017 campaigns. Plus-size women accounted for 10 of the 444 model appearances — in other words, 2.3 percent. Considering the numbers seen in previous campaign seasons — 14 in Fall 2016, just 7 in Spring 2016 — this figure is neither impressive nor totally discouraging. In 8 out of the 10 castings, plus-size models posed for mass-market plus-size labels. On a positive note, the two outliers were industry heavy hitters. Calvin Klein Underwear featured “inbetweenie” Danish model Christine Sofie Johansen in its November 2016 ads (technically labeled “Calvin Klein Underwear 2016,” but released concurrently with the spring campaigns). As mentioned previously, true Instagirl Barbie Ferreira starred in Urban Outfitters’ “Class of 2017” campaign. Unsurprisingly, the bulk of the attention (3 of the 10 castings) went to Ashley Graham, who in the past year has achieved household-name status thanks to multiple Vogue covers and a stint on the reboot of America’s Next Top Model. Graham posed for Marina Rinaldi, Addition Elle and the debut Prabal Gurung for Lane Bryant collection. Meanwhile, the number of plus-size models of color booked fell from five (for Fall 2016) to three. (Though Spring 2017 managed to outperform Spring 2016, when not one plus-size model of color made the cut.) Denise Bidot and Ashlee Haze fronted Lane Bryant’s house collection; Coverstory shot Alisha Shepherd alongside Shay Neary. Wavering plus-size bookings aside, Neary’s Coverstory campaign is in itself indicative of the continued democratization of the industry: Neary is the first out plus-size transgender model to land her own fashion campaign. 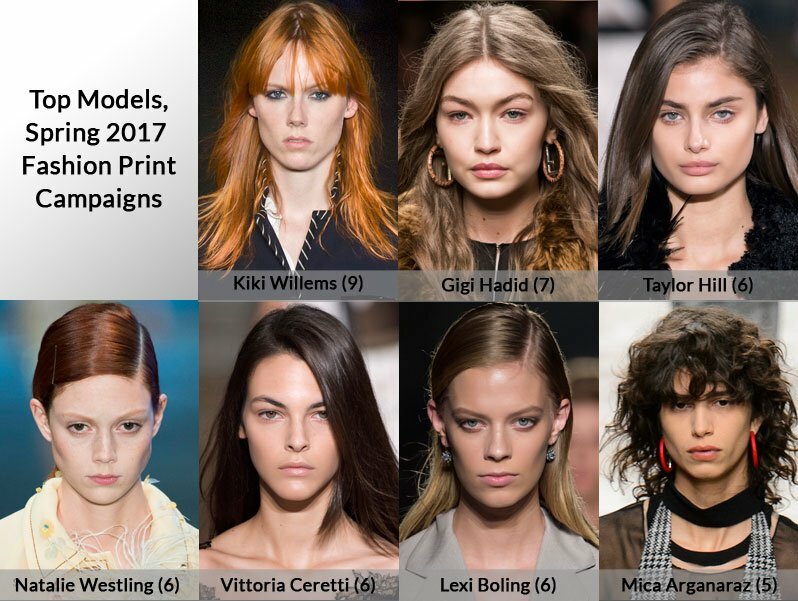 Models over 50 were the least represented group for Spring 2017. Out of the 444 model appearances, mature models were only cast twice (0.5 percent). This figure is especially perplexing given the fact that age diversity on the runways has increased dramatically over the past few seasons. Moreover, Spring 2017 was the least age-diverse season we’ve seen since we first began tallying the numbers in Spring 2015. Compounding the issue, both appearances were by Lauren Hutton, now 73. The modeling legend posed for Calvin Klein Underwear and Bottega Veneta (a follow-up to her memorable walk at the brand’s 50th anniversary show). Sofia Coppola handpicked Hutton for Calvin Klein Underwear’s beautifully cast, notably diverse Spring 2017 campaign. For Bottega Veneta Spring 2017, photographer Todd Hido shot Hutton at the iconic Modulightor Building on East 58th Street. Both admittedly big-name brands chose to market Hutton alongside younger models. Also featured in Bottega Veneta’s ads were Joan Smalls, Vittoria Ceretti, Hannes Gobeyn and Morten Nielsen. At Calvin Klein, Hutton shared the spotlight with Kirsten Dunst, Rashida Jones, Nathalie Love, Laura Harrier, Maya Thurman-Hawke and Chase Sui Wonders. The tide may be turning for the gender nonbinary set, at least in the insular world of fashion. An effort toward transgender inclusion is increasingly becoming the norm. Case in point: The Fall 2017 runway season featured more transgender models than any in recent history; Proenza Schouler’s subtly progressive Pre-Fall 2017 lookbook featured not one, but three trans models. Four Spring 2017 campaigns enlisted the talents of this historically underrepresented group, for a total of five castings. A modest figure, to be sure, but a step up from Fall 2016 when there was a marked absence of transgender models, Spring 2016, which saw one transgender casting (albeit by industry powerhouse Marc Jacobs) and Fall 2015 when only three transgender models made the cut. To reiterate, Shay Neary became the first transgender plus-size model to land a major fashion campaign. Neary followed up her Coverstory coup by shooting with plus-size retailer Yours Clothing. 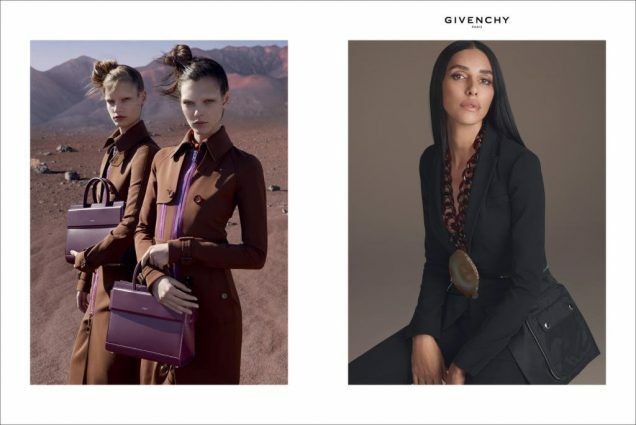 Lea T, muse to Riccardo Tisci, fronted the designer’s final campaign at the house of Givenchy. Lea T was the only transgender model of color to land a Spring 2017 campaign — but hers was arguably the most high-ranking appearance of the season. Is it fear of the unknown or a lack of confidence that prevents brands from processing calls for diversity, taking a leap and overhauling their marketing methods? It’s difficult to say. We do know that the movement toward greater racial, body, age and gender diversity in ads is a slow-dripping faucet, and we’re tired of this dated reality. Only women were included in the data of this report. Models of color were categorized as those of nonwhite or mixed backgrounds. The term “model” includes celebrities and influencers, sometimes referred to as nonmodels. Nonmodels were not included in our plus-size data. *Note: At time of publishing, Bella and Gigi Hadid, who are of Dutch and Palestinian descent, were categorized as white for this report. To more accurately reflect their mixed-race heritage, we’ve updated their categorization to nonwhite and amended our data. Our new racial diversity reading for Spring 2017 is 27% and Fall 2016 is 25.7%.